Once I have completed those phases, I get down to the business of writing. And, when I say “business” that is exactly what I mean because writing is a business. You spend time and money creating your masterpiece, then more to market and publicize it. To provide value for your investment, you have to think like a business person. That means developing a structure for the development and publication of your book. If you are a first time author, you may need to initially follow all the courses of action outlined in this article. If you are a more seasoned nonfiction book writer, you will only need some of the phases I share. Although, you may want to fine tune things you have done previously if you overlooked anything when you first set up your writing business. No matter what process you use, the important thing is that you write nonfiction books that sell. 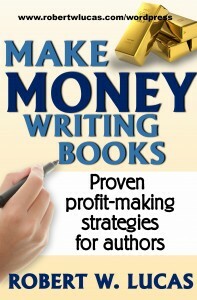 By being more successful, your book generates a higher level of revenue and notoriety for you. So what are the next phases that can show you how to write a nonfiction book that sells? Read on to find out my approach. Develop a business plan. Just as you need a writing plan to create your book content, you need a business plan to develop your writing business. Start by preparing a business plan that outlines key elements, such as, book financing, budgeting categories (use Quickbooks or similar software for this), and printing, publishing, marketing and publicity resources. This plan will be your roadmap and provide a checklist as you move forward and start to write nonfiction books that sell. It is also an essential document if you plan to apply for financing. Check with the Small Business Association SBA and SCORE (formerly the Service Corps of Retired Executives) for assistance and possible guidance on developing a business plan. Both organizations are immensely helpful for new business owners and there are many free resources available through their websites. Negotiating a contract with a publisher or printer. Offering advice on subjects that could cause damage or danger to others. Making large asset purchases in the name of your business (e.g. buildings, vehicles or large equipment). Meet legal requirements. Check with appropriate local, state and federal government offices to see what types of business licenses and permits you need to obtain and what types of fees and taxes you may need to pay connected to your business. You may also be required to take certain steps before you can do business in an area. For example, if you live in a community with a homeowners association and plan to work from a home office, there may be restrictions on shipping and receiving deliveries from companies or operating a business from your home. This might impact fulfillment of your book orders if you plan to do that yourself. You may also have to post an advertisement in a local paper if you plan to do business as (DBA) a company in other than your name. Also, don’t forget filing appropriate state and local sales tax reports, filing quarterly estimated federal income taxes, social security taxes, and paying appropriate state and federal income taxes. Depending on the structure you use for your business (e.g. sole proprietor, corporation, or Limited Liability Company [LLC]) you may be subject to some or all of these and more. Again, this is where the financial and legal professionals come in handy. Staff your business. As the old saying goes, “you cannot do it all yourself.” Depending on whether you are writing or self publishing in addition to your regular job or whether this venture becomes your primary source of income, you will likely need help. Talk to other authors and self publishers, network at author and publisher conferences, join author/publisher associations, attend conferences and book fairs or events, and read newsletters and journals on the profession. All of these can help you identify potential resources to help with various aspects of your business. I try to barter services and knowledge or expertise with others in order to get help on my book related projects. Free is always better. Just remember that in some instances bartered goods and services might be subject to taxation. The following are some potential resources that I’ve found in the past which can aid in various aspects of the business of nonfiction book writing and publishing. I have used several of them successfully and offer them for you to explore as information resources. Part I and II of this article shares some ideas that I have applied successfully in my book writing and publishing career for the past couple of decades. I continue to look for new ideas and resources that can help me write nonfiction books that sell. Not all books are successful, but I have found that if you do not continue to put them out on the market, you will never be successful. With volume comes name recognition, credibility and revenue. If you do not succeed with your first effort, step back reassess your process, get more advice and try again. There are numerous articles on various topics related to how to write nonfiction books that sell on this blog. Search for your desired topic and review articles that you find. Also, visit some of the resource links I’ve listed in this article. 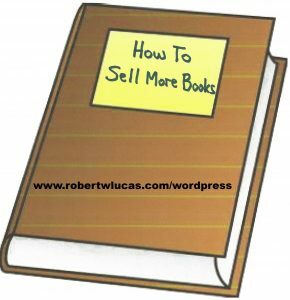 This entry was posted in book ideas for nonfiction authors, book publishing and writing, nonfiction book writing, writing a nonfiction book and tagged how to sell more nonfiction books, ways to write and sell nonfiction books, writing nonfiction books that sell. Bookmark the permalink.